Google Adwords has a new hidden gem that most people don’t realize. And this new hidden gem is called Local Ad Extensions. 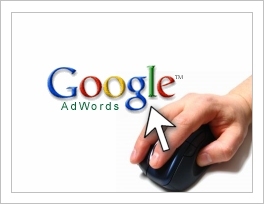 Google Adwords is always pushing hard to find new and innovative to connect customers to businesses through the use of the web. And Local Ad Extensions is a major innovation that Google is now offering to Adwords advertisers. One of the key benefits of Local Ad Extensions is the ability to present your local business address to people who are searching on Google.com, Google Maps, and on mobile devices. If someone is searching for your business with a geographic keyword phrase, or if they are on a mobile device in the same geographic area as your business, your Adwords text ad can display with your business address (read “Understanding Local Ad Extensions for more info“). With Local Ad Extensions, the pricing structure is the same as all other Google Adwords pricing settings established in your account – with one exception! If someone is searching on Google Maps and sees your ad, and then click to extend your local address, you are not charged for that click or ad display. This means, you are given free advertising exposure to that local customer who just searched for your type of business, and was shown your address (your Local Ad Extension) on Google Maps. Local Ad Extensions and Google Maps might be only one component of your Adwords campaign, but if you’re a local business, then you might want to consider setting up Local Ad Extensions – your customers will then be able to search on Google Maps, and view your business address, all for free! You will only be charged for the click if that person actually clicks thru to your website or landing page.